So much has been written about this song, Ohio, and the event that inspired Neil Young to write it. The event was, of course, the killing of 4 students, on 4th May 1970, during a peace demonstration at the Kent State University. If you want more detail on this there are links below, under the heading “Other Stuff You Might Enjoy”. America was at its own crossroad. Ohio was recorded just 17 days after the killings and released as a single in June 1970, the “B-side” was Stephen Stills’ Find The Cost Of Freedom. 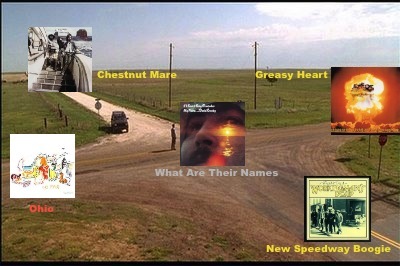 It first appeared on an album in 1971 when Crosby, Stills, Nash, & Young released their live double album – 4 Way Street. My first recollection of hearing Ohio was when listening to 4 Way Street – over a year after the Kent State U events, it still poignantly conveyed the sense of disbelief and shock. I guess that is understandable as 4 Way Street was recorded around the time Ohio was released. Although I never owned this album, it regularly traveled through our networked community vinyl collection – it was under my arm a few times as I walked home from visiting it’s “home” collection at Glen Davidson’s place. OHIO. It’s still hard to believe I had to write this song. It’s ironic that I capitalized on the death of these American students. Probably the biggest lesson ever learned at an American place of learning. My best CSNY cut. Recorded totally live in Los Angeles. 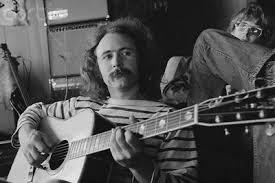 David Crosby cried after this take. How are Ohio and Oh Susannah connected? By the “Oh”? No! Well, yes they do both start with “Oh”. 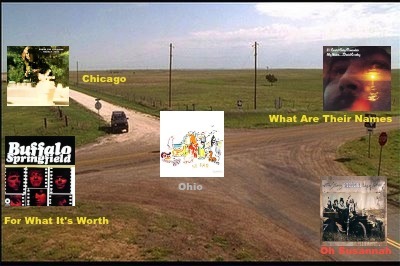 But, just as obvious … the connection is Neil Young who performs Oh Susannah, and writes Ohio. * “Four Dead in O-hi-o”. An excellent, if long, article on the Kent State University killings written by Jack Doyle for the website Pop History Dig. * Neil Young’s Ohio – The Greatest Protest Record a very interesting article published in The Guardian in 2010. Written by Dorian Lynskey. * Neil Young Documentary: Part 1 (14m 51s); Part 2 (13m 57s); Part 3 (14m 21s); Part 4 (7m 49s). * Cover of Ohio by DEVO. Jerry Casale, a founding member of Devo, was at Kent State and witness the shootings that killed two of his friends. Casale, at the time saw the Young song as a means for “rich hippies” to make money out of a horrible event. Many years later Devo would play with Young and they suggested the title Rust Never Sleeps for a later project of Young’s. Unfortunately this video has been deleted from You Tube due to copyright claims.